Offer is for lodging only. Valid at the Crystal Inn Hotel & Suites Downtown Salt Lake City, Midvalley/Murray, and West Valley City. Blackout dates apply. Not valid with other discounts. Valid for up to two (2) rooms. Must have coupon at check-in to receive discount.. Other restrictions may apply. For additional information please call the hotel. With Valpak® coupon only. Coupon void if altered. Not valid with any other offer. With Valpak® coupon only. Coupon void if altered. Expires 12/30/2019. 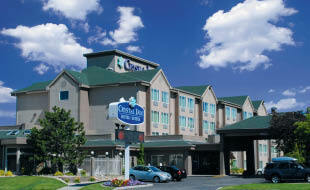 Crystal Inn Hotel & Suites is a Utah/Regional area brand of hotels that bring value and quality to their guests. They offer a hot breakfast buffet, high speed wireless internet access throughout the hotel and airport shuttle all free of charge. The Crystal Inn Hotel & Suites is the center of dining, nightlife and culture; ideal for guests who love a late night out. This hotel is just one mile from the Historic Temple Square. You'll also enjoy the unlimited shopping options, including places like City Creek Center, The Gateway and Trolley Square mall.